Lighthouse Educational Products offers Classroom Science Supply Boxes to accompany Classical Conversations Foundations Science. We also offer Tutor Packs, Weekly Packs, Components and Supplies, Optional Dissecting Tools (for the crayfish), Owl Pellets, and so much more. 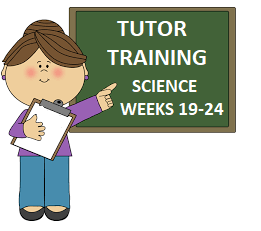 The Tutor Packs are packaged for each 6 week quarter to help with tutor planning meetings. The packs contain one of each experiment to be completed before the actual class date. These are the same supplies included in the Classroom boxes, so the tutors have hands on experience. The Tutor Packs can also be used as a single student pack in a family setting if you not in a community.